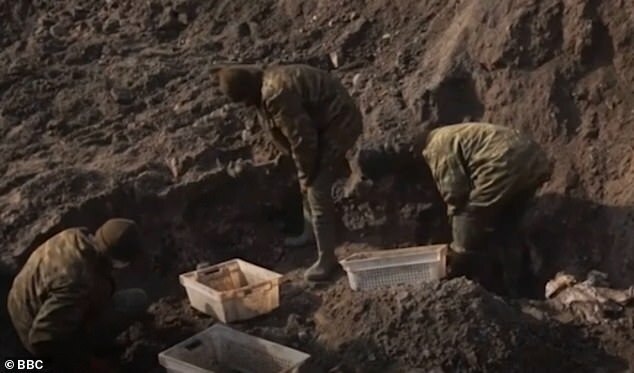 Specialist soldiers unearthing the remains of a Second World War mass grave in Belarus have discovered a female skeleton cradling the remains of a baby. Following the order, thousands were dragged onto trains and taken to a forest to be gunned down. On October 1942 the city register kept by the Nazis states that 17,893 Jews live in Brest - the day after, the figure is ruled out. 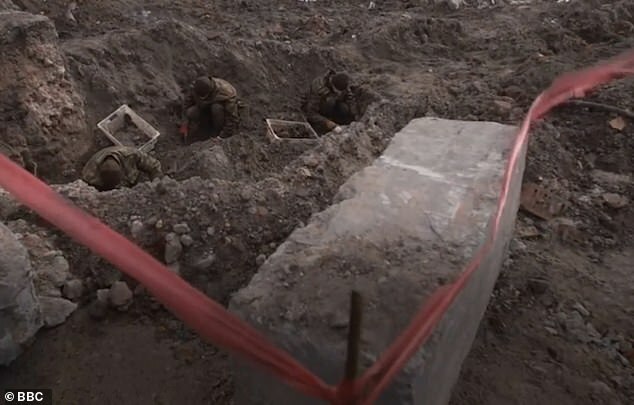 Mikhail Kaplan, who lost aunts, uncles and cousins in the massacre, said his mother and father only managed to avoid being killed as they were away when the Nazis invaded Brest. ‘When my parents returned, the city was half empty,’ he told the publication. 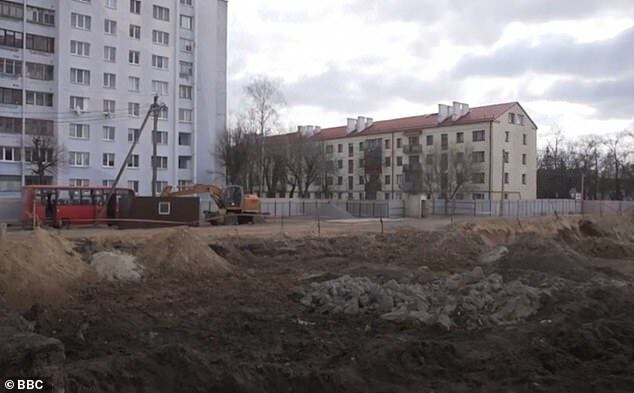 The Jewish community in Brest is now pushing for the grave site to be made into an official Holocaust memorial - with the city only home to one currently. However, the planting of trees next to the upcoming luxury flats is the only proposal being considered so far. 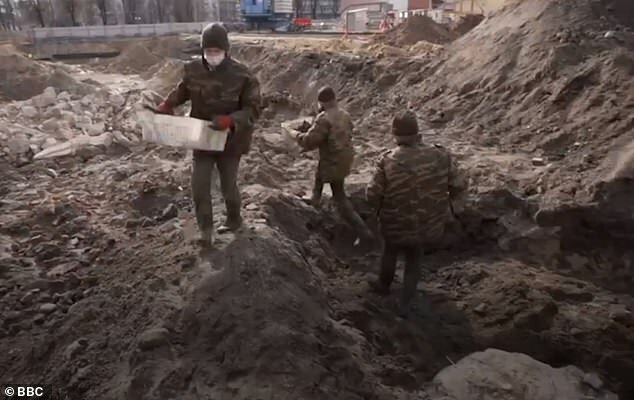 Previous mass graves have been located in Brest in 1950 - when some 600 victims were re-buried at Trishinskoe cemetery, and in 1970 when 300 victims were re-interred at Proska cemetery.